Malcolm Turnbull’s ministry now includes Richard Colbeck, a Tasmanian senator famous for his love of forestry. Nowhere is the five-way argument between industrials/ development/ tourism/ government/ green groups more acute than in Tasmania, where jobs are scarce and forests are sacred, where state and local land decisions conflict with national/ international conservation measures. 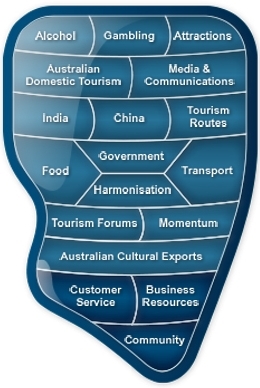 Equally concerning is that the Tourism and Transport Forum is now headed up by Margie Osmond, best known for her 9 years as the head of the Australian National Retailers Association – the lobby voice for the likes of Coles Woolworths etc. Big retail is the natural enemy of tourism – the way councils pander to the local Westfield rather than a town’s unique high street, the way Coles and Woolworths can pay their employees only 150% penalty rates on Sundays whilst local cafes are forced to close at penalty rates of 200% – big retailers have been sucking the culture out of Australian towns since the early 90s. 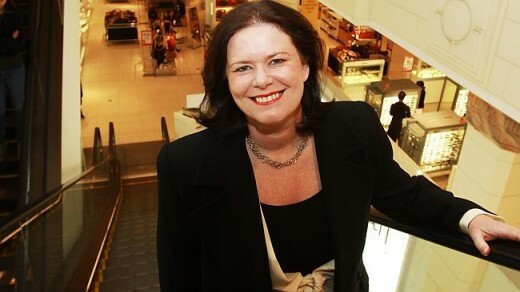 Now Margie Osmond is in charge of the Tourism and Transport Forum, an organisation – purportedly acting in the interests of the tourism industry – that hasn’t managed to get Sydney’s second airport built, presumably because the owners/ investors in the first airport (namely Macquarie Bank) don’t WANT it built. The below story by Fairfax’s ‘Business/Tourism/ Transport’ reporter Jamie Freed – who hasn’t reported a negative word about Qantas, Sydney Airport owner Macquarie Bank or any other major Fairfax advertiser in her short career – quotes a long line of ‘tourism’ stakeholders who are specifically divested against Australian culture flourishing. The Accommodation Association of Australia head, Richard Munro, is quoted as welcoming the new minister. If Freed looked into him for a moment, she’d see that his background is in AHA (gaming venues that squash all other live entertainment) and casinos. In the near future, we can expect to see ‘expert commentary’ from the likes of Munro in Fairfax, on how Sydney certainly needs the horror of the Packer casino on Barangaroo, and how the Great Barrier Reef certainly needs the horror of a big casino built on Yorkey’s Knob, despite the developer of that one being an infamous crook, even by Macau standards. This editorial became particularly ranty because the sadness of not even one of the major ‘industry’ players actually being invested in the flourishing of Australian culture came home to roost when a forester was appointed minister and a retailer appointed head of TTF. The tourism industry has welcomed the appointment of a dedicated tourism minister, Senator Richard Colbeck, but some participants have raised questions over Prime Minister Malcolm Turnbull’s decision to not make the role a cabinet-level position. Under the Abbott government, Trade and Investment Minister Andrew Robb also held the tourism portfolio, despite it not being in his title. Mr Robb will remain the chief advocate for the industry in cabinet, even though Mr Colbeck, from Tasmania, is the new Minister for Tourism and International Education. Margy Osmond, the chief executive of the Tourism & Transport Forum, Mr Robb and Foreign Affairs Minister Julie Bishop need to ensure they continue their strong support for the industry within government as a result of the decision to leave the Tourism Minister out of the cabinet. “Tourism is a critical part of the economy, an industry with nearly 1 million employees and which generates $100 billion worth of economic activity, so it must be seen at all times in a whole-of-government context,” Ms Osmond said. Tasmanian Premier Will Hodgman oversees the state’s tourism portfolio at a time when the state’s industry has been growing rapidly, albeit from a fairly small base. In the 12 months to June 30 the state reported a 22 per cent rise in international visitors to 162,800 and a 27 per cent rise in spending by those visitors to $298 million. Accommodation Association of Australia chief executive Richard Munro said the appointment of Mr Colbeck as Tourism Minister sent a message to the industry that Mr Turnbull recognised the value of tourism to the economy. Australian Tourism Export Council managing director Peter Shelley said his organisation had worked well with Mr Robb since the tourism portfolio was removed after the 2013 election, but there were advantages to be gained from having a focused minister. “Unlike most other export sectors, tourism brings its customers to Australia and our industry faces unique barriers to success, and therefore our priorities are different,” he said. Ms Osmond said the Tourism & Transport Forum was also pleased by the appointment of Scott Morrison as Treasurer, given he had once served as the managing director of Tourism Australia. Shadow tourism minister Anthony Albanese says Australia needs a dedicated tourism minister to give the sector prominence because “titles matter”. Speaking in the Swan Valley yesterday Mr Albanese said tourism was one of the “super growth industries” for the country and had huge potential, including for WA. “We’re very lucky that we live in a part of the world that has the largest growing middle class, not just in China but Malaysia, India, Vietnam… and Indonesia,” he said. “What that represents is enormous opportunity and here in the West where I am a regular visitor it is particularly important that we have a diversified economy. I think some political decision makers have said ‘we’ll just rely on the resources sector and that will keep going forever’ and that’s not the case. Mr Albanese said tourism should have a dedicated minister, as in New Zealand where the prime minister is also tourism minister. “One of the things I’ve called for with the new Prime Minister is to appoint a dedicated tourism minister,” he said. Mr Albanese also criticised the Federal Government’s decision to pull out of this year’s 2015 world expo in Milan, saying tough economic times did not justify tapping the brakes on tourism spending. He conceded his own government “could have done much more” when it was in power.